We purchased Frieda at our 2005 Forum sale realizing that her granddam was none other than MFL Freya. 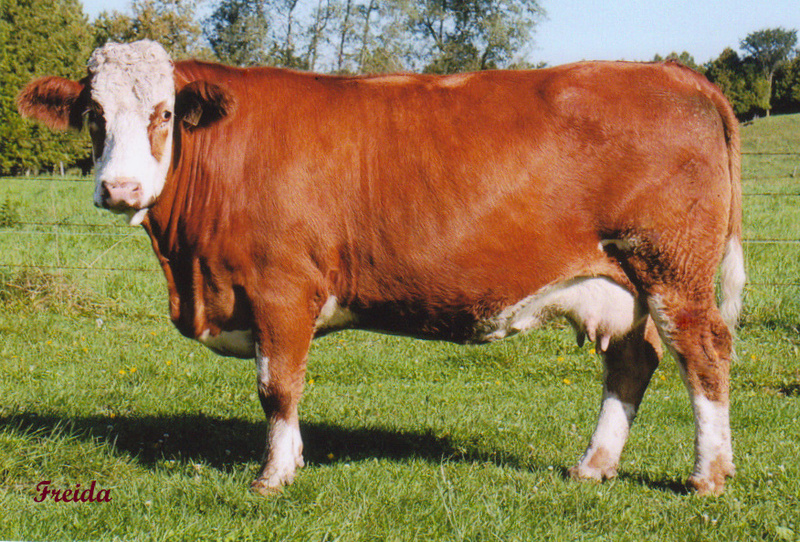 Many long time Fleckvieh breeders have told us over the years Freya was one of the best fullblood cows to ever set foot here in North America. Frieda has a daughter Felise, making her mark here at Dora Lee, another daughter at Vail View Simmentals, a son working for Joan Daly and her ’11 son, Equity, is herd sire for George and Mary Ellen Murray.